Ring the Bell. Well, Does it ring any bell for you? If not, Please read more about Ring The bell on http://www.bellbajao.org/ . Bell Bajao was launched by BreakThrough in India in 2008. It promotes the idea of taking up a stand against Domestic violence by fellow individuals. As We believe that Change is the only constant, We, as an individual, should make a promise to bring that change to stop violence against women. With the advancement of our day-to day life, our living standards ; People should weigh the advancement of their thinking at the same level. Do you think Education will help to stop it ?! Certainly education will help to cut down it but i am afraid to say that few people consider only getting a degree is well enough to be called educated. There is no mental shift. Yes, You heard me right. Today also, some well-to-do educated families do violence against women. This reminds me of something similar happened in the society where I live. Some time ago, on a lazy sunday evening, Me and my friend heard voices coming out from flat just above ours. The man was shouting on his wife, abusing loudly and beating her. This went around for half an hour and then we heard something as if he was beating her with a cane or stick. There are two more flats on that floor occupied by families but noone cared. Me and my friend went to the security to tell about this. The security personnel said, “Madam, ye unka family matter hai, ham kaise bol sakte hain? (Madam, this is their internal family matter, how can we interfere?)” . We told him to go to Society head. He didn’t agree. So, We went to the society head reporting the same and he also repeated the same inspite of knowing the fact that woman might get injured badly. But we forced him to go with us and We rang the bell and the guy stopped beating his wife after that and We never heard such voices there on. So, It just hit my mind that We could’ve done the same instead of going to the society head. At times, We find different forms of such events around us but we don’t care about them until it happens to us. And , Domestic violence is never violence against women from men, it can be from a woman to woman or from a woman to man but the most prominent one happening around us is violence against women. Talk to less educated woman (i.e. maid that work at your home) and see how can we help them if they face similar situation. By Educating our kids to respect everyone without gender discrimination. 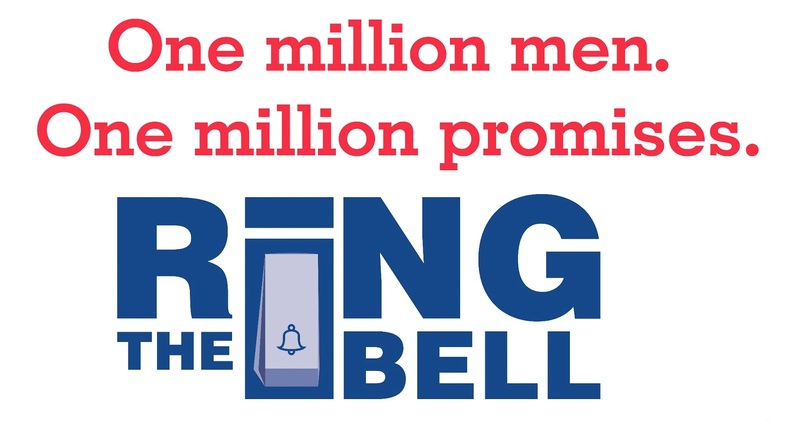 Spread the word about Ring the Bell. I promise to Ring the Bell. Do You ? !